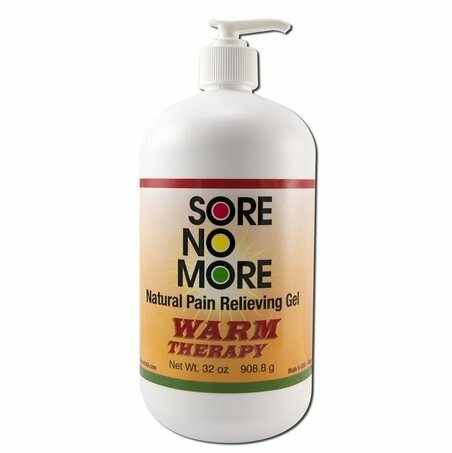 The Sore No More Warm Therapy 32oz Bottle is a must have for anyone that uses this pain cream often! The 32oz pump bottle is easy to store and easy to use. 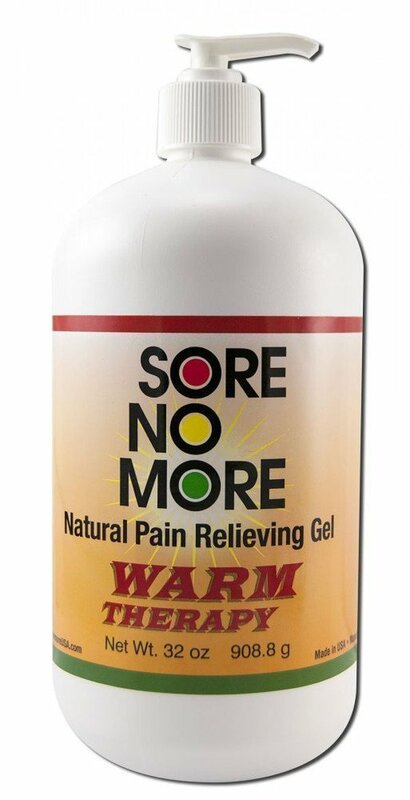 The Sore No More pain relief cream can be used for muscle aches, sprains, strains, joint pain, and even sunburn. The warm therapy cream contains 3% Menthol and 3% Camphor providing hours of relief to painful areas of the body. The warm therapy Sore No More may also relieve pain and discomfort associated with sore muscles, aching joints, fibromyalgia pain, sore feet, back pain and knee pain. Active ingredient: 3% Menthol and 3% Camphor. Designed with a formula that is non-staining, contains no waxes, artificial colors, or chemicals. Quickly absorbs into the skin for fast acting relief. For external use only. Keep out of reach of children. Avoid contact with eyes. If condition worsens, or if symptoms persist for more than 7 days or clear up and occur again within a few days, discontinue use of this product and consult a Doctor. Do not apply to wounds or damaged skin. Do not bandage tightly. Store at room temperature.